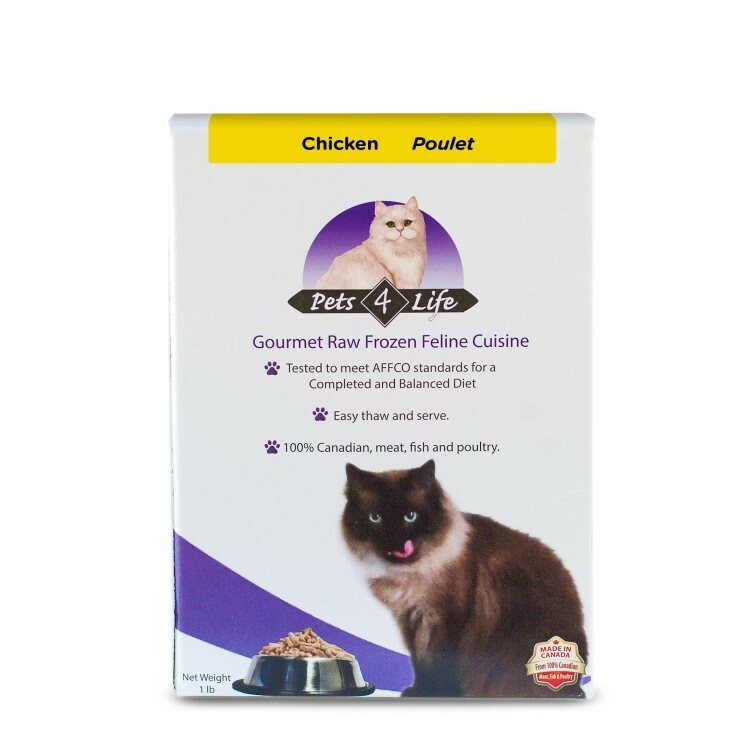 PETS 4 LIFE Pet Cuisine Chicken Formula cat and ferret food is made with the finest, Grade “A” Chicken you can buy. We start with top quality, fresh, hormone free chicken – the absolute best quality chicken you can buy for you and your family! Then we add fresh, locally sourced fruits and vegetables, and all natural, organic supplements, sea vegetables and herbs. Your cats and ferrets will love it – and you just can’t feed them a better quality raw diet! Chicken (Contains Chicken Meat and Chicken Bones), Chicken Giblets (Contains Chicken Heart, Chicken Liver), Carrots, Broccoli, Sweet Potatoes,Cabbage, Apples, Ground Flax Seeds, Whole Eggs, Honey, Apple Cider Vinegar, Alfalfa Meal, Kelp.